I have just examined the enamelPossibly a gold and enamel reliquary cross pendant, Byzantine, early eleventh century, now in the British Museum, London, acc. no. 1965,0604.1. See letter of May 15, 1937. 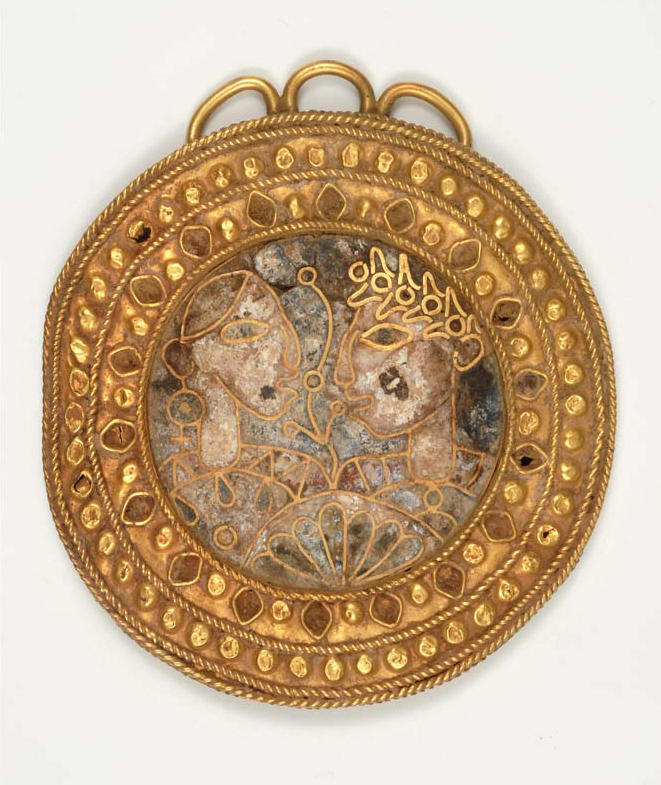 The pendant was formerly in the collection of Adolphe Stoclet. See http://www.britishmuseum.org/research/collection_online/collection_object_details.aspx?objectId=61405&partId=1 (accessed October 5, 2015). of which I sent you a photograph on the 15th inst. I am sorry to say that, in spite of Falke’sOtto von Falke (1862–1942), a German art historian of the decorative arts. He was appointed director of the Kunstgewerbemuseum, Cologne, in 1895 and director the Kunstgewerbemuseum, Berlin, in 1908. In 1920, he succeeded Wilhelm von Bode as general director of Berlin museums, a position which he held until his retirement in 1927. In retirement, von Falke founded and acted as publisher of the journal Pantheon. certificate, the piece is certainly a fake. It struck me as being wrong the moment I saw it, and when I examined it under the quartz lamp,Royall Tyler believed that fake Byzantine enamels fluoresced when illuminated by a quartz lamp. it behaved in the familiar way of fakes: the whites turning a glaring, almost phosphorescent tone, whereas in authentic Byzantine enamels, the whites are indistinguishable under the lamp from the other colours, the whole thing turning to a soft gray. By the way, this reaction under the lamp is a discovery of mine, and I should be glad if you would keep it for yourself. It strikes me that if you have examined the San Giorgi [sic] roundelBZ.1933.5. under the quartz lamp and if it gives no suspicious reaction, you might care to try for the BonessiDr. Ugo Bonessi (dates unknown), an Italian collector in Rome. similar roundel,See letter of November 6, 1936. of which I sent you a photograph some time ago, You will remember that Volbach has had it offered to him, and now that several museums have turned it down as suspicious, it might go very cheap. Before getting it, of course, I would see it / which I have not done yet / and examine it under the lamp.